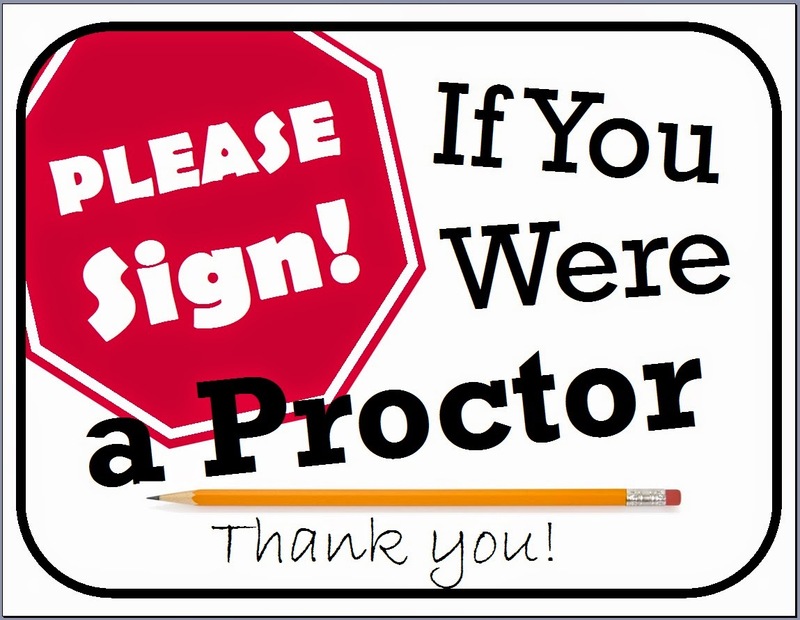 Proctors also need to sign off that they were proctors so below is my sign in station. I think my signs are cute. 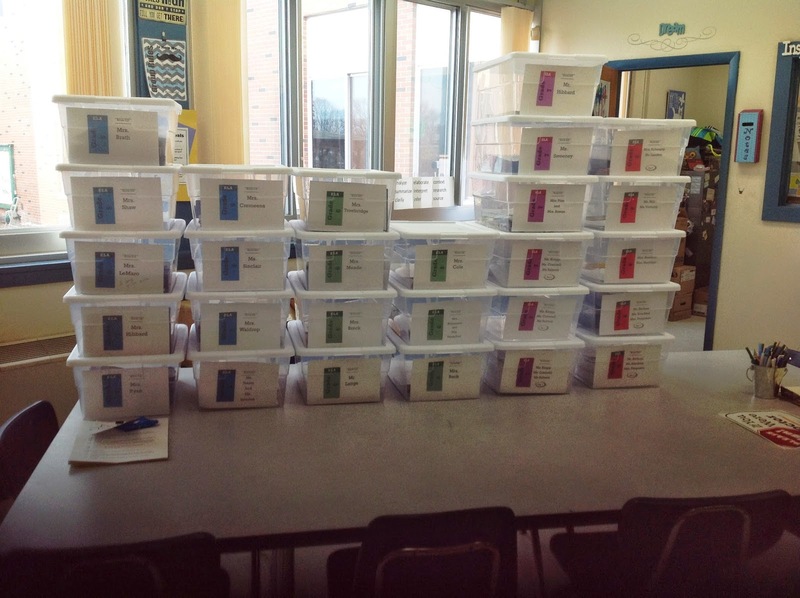 I feel VERY lucky that, in my district, we have full-time testing coordinators at all of our middle schools. 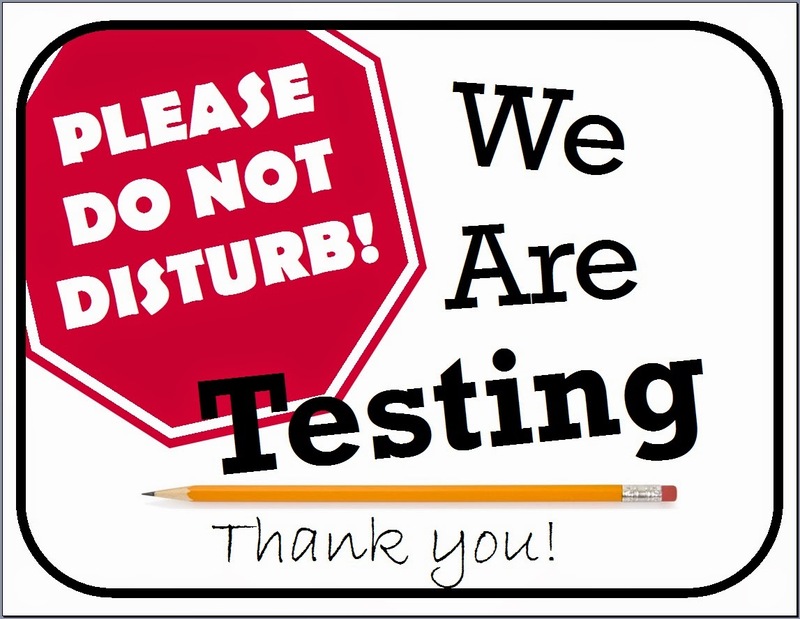 I don't know how you handle testing and all of your counseling duties! 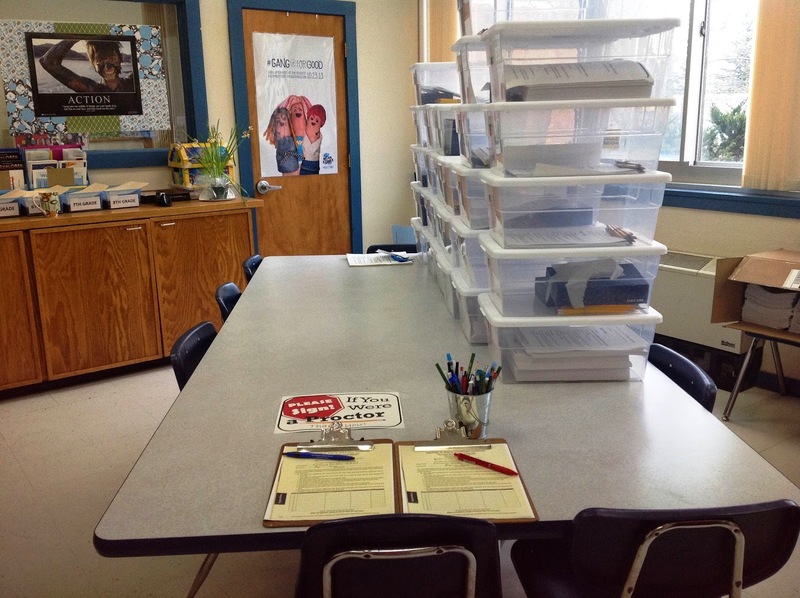 Hello, are you sharing the form you put in each teacher box?